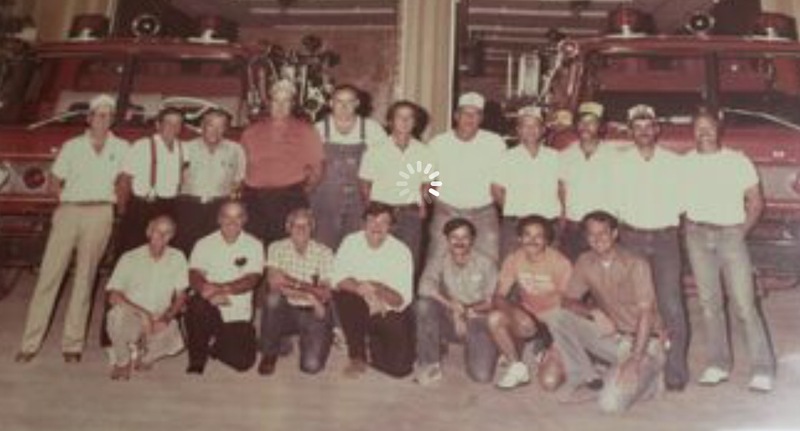 “last of the old timers” in this photo taken in 1984, said Fire Chief Anthony Armstrong. After almost 40 years as a Sallisaw firefighter, Danny Keith, 61, is retiring from that post today, July 31. 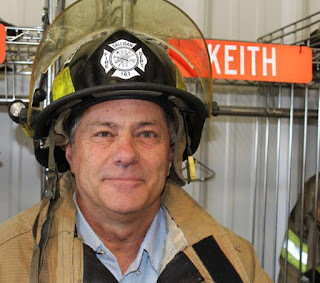 Keith became a volunteer Sallisaw firefighter at the age of 21 in 1977. Being a firefighter and the training provided were very different then compared to now. Keith said that, with his retirement, the Sallisaw Fire Department will have three openings. Jarret Hetherington retired after 22 years and Dwayne Burgess retired after 17 years. That leaves three openings on the 20-firefighter city fire department. Armstrong said the department had eight applications, now down to seven because one applicant did not pass the agility test. The seven remaining applicants must also pass a physical exam. The new firefighters are all required to be certified as Firefighter 1. He explained that is a 40-hour college-level course, Keith explained. In addition, firefighters are also required to continue to train for at least one night a month. All Sallisaw firefighters, with the exception of the chief and assistant chief which are full-time salaried positions, are volunteers but get a small wage depending on their experience and rank. 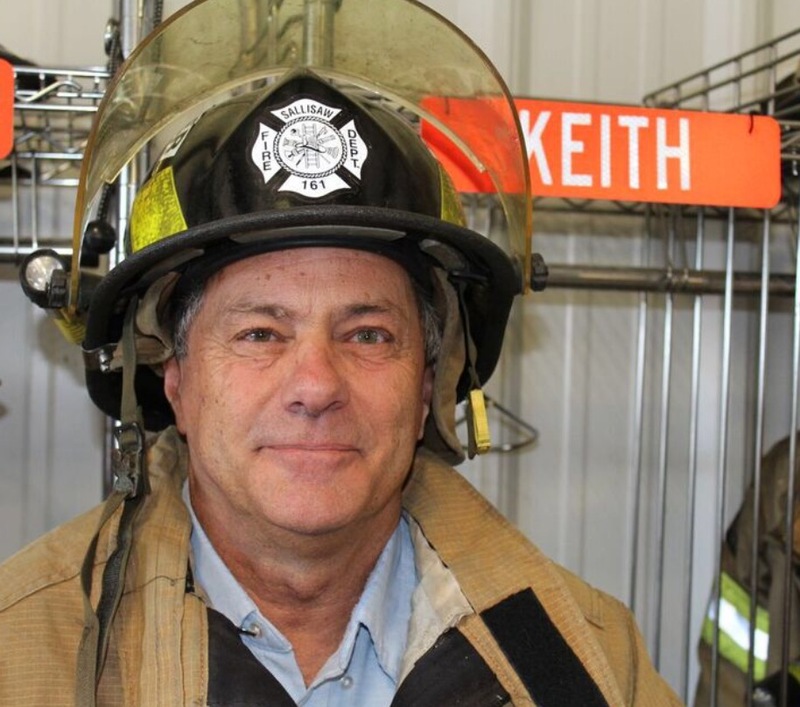 In the last 40 years, Keith has held every position available at the Sallisaw Fire Department. He recalled he has served as lieutenant, captain, assistant chief and chief. In the early days, the firefighters rotated through the ranks. Now the ranks are permanent. Keith, and many of Sallisaw’s firefighters, are also city employees. Keith is telecommunications supervisor at Diamond Net where he has worked for about 14 years. He began with Bill Martin at Martin’s TV Repair, then went to work for Sudden Link before taking the Diamond Net post with Sallisaw. Keith said he plans to stay on with Diamond Net for a while. Those 40 years as a firefighter have left Keith with many memories. He said the biggest fire he and fellow firefighters had to fight was the one that destroyed Peggy’s Café, a popular eating spot in downtown Sallisaw, and the adjoining building, which once was a bank that drew the attention of Charles “Pretty Boy” Floyd. 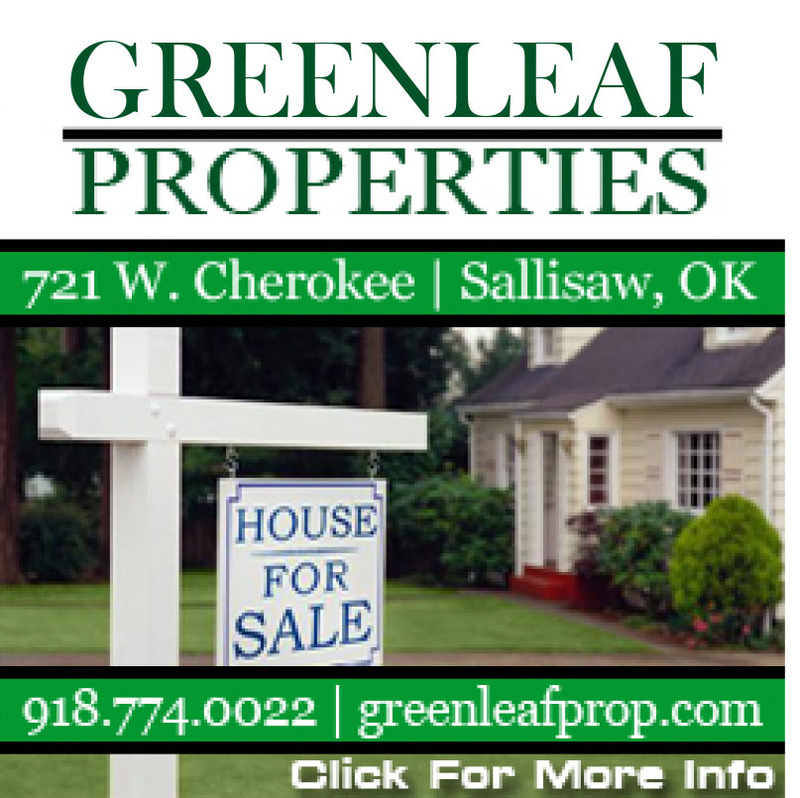 Another fire Keith recalled was the one in June 2004 that destroyed the old Sallisaw High School, which, through the efforts of many residents and graduates, had been turned into a museum and community center. But the most devastating fire for Keith was the one that took the life of then Fire Chief Gus Fullbright Jr. 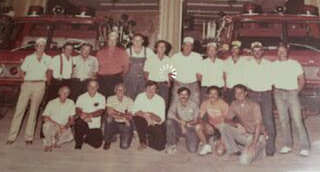 In 1995 the Sallisaw fire station was renamed as the Gus E. Fullbright Jr. Fire Station in memory of the late fire chief. Keith said that fire was studied in depth because it was a car fire that erupted forcefully when the gas tank exploded, spraying the unsuspecting firefighters with gas. Several were burned and Fullbright died as a result of his injuries. Keith himself was uninjured during that fire but was injured in a different one. When Keith stepped on the deck to fight the fire, he fell through up to his chest. Fellow firefighters pulled Keith out, but he suffered a broken rib in the fall. The role and mission of Sallisaw firefighters has evolved in recent years. Now most are also first responders and are called to accidents of all kinds and to help those who cannot help themselves. There is one rescue that will remain with Keith forever. While paying one more visit to the Fullbright Fire Station on Monday, Keith took a bit of brotherhood ribbing from Chief Armstrong and Assistant Fire Chief Steve Padgett. It was the kind of brotherhood Keith said he will miss the most. “I’ve seen a lot,” Keith admitted about his experience over the years. And he would serve his community and do it all over again, he said. “I don’t regret any of it,” he concluded. Keith and wife Debby have 5 children and 7 grandchildren. 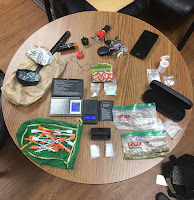 Richard Darren Stites, 52, of Sallisaw was arrested Saturday on drug-related charges, Sequoyah County Sheriff Larry Lane reported. Stites is being held without bond. The fall semester at Carl Albert State College (CASC) in Poteau and Sallisaw begins Aug. 14 and there is still time to enroll. Classes are offered on the CASC campuses in Poteau and Sallisaw, and CASC also offers a wide variety of courses online through the CASC Virtual Campus. Classes are offered in full semester as well as eight-week time frames. For students living in residential housing at the Poteau campus this fall, move in is set for Aug. 12. Randy Graves, CASC VP of Student Affairs, said there are still rooms available for fall. “For students wanting to reserve a room for fall, call us as soon as possible at 918-647-1371,” he said. “Also, if you signed up for housing but have not completed the process, we need to hear from you so please call us or stop by the housing office in Hemphill Hall on the Poteau campus. “Living on campus is a great opportunity and very convenient for students. We offer nice rooms and excellent food service at an extremely affordable price. We encourage students to give living on campus a try,” Graves said. 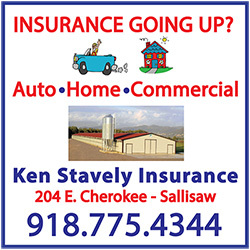 For enrollment assistance call 918-647-1248 in Poteau or 918-775-6977 in Sallisaw. Information is also available at carlalbert.edu. It’s Back-to-School Round Up Time and it’s free! It’s the Back-to-School Round Up on Aug. 5 at the Sallisaw Rodeo Arena. The roundup, from 10 a.m. to 1 p.m. offers free games, free photos, free activities, free food, and school supplies as prizes. This year KiBois Community Action is collaborating with the Sallisaw Lions Club that is sponsoring the Sallisaw rodeo on the same weekend. Both the roundup and the rodeo will be held at the Sallisaw Rodeo Arena. Alverson said the Lions Club holds free pony rides and other activities for children on the same morning, and the two organizations have combined events for all kids. Two bicycles will be given away through a drawing, and free hot dogs, chips and water will be available. Other activities include a water slide, a bounce house, and face painting. “We will have some vendors there who will be offering carnival games and will be giving away school supplies as prizes,” Alverson said. A limited number of back packs will also be given away. And it’s all free. Other sponsors for the Back-to-School Round Up are People Inc., TSet Healthy Living, Creoks Behavioral Health Services, the Lions Club, the Health and Wellness Center, the Cherokee Nation, the Sallisaw Youth Coalition and Central Youth Coalition, the Boys & Girls Club of Sequoyah County and the Mix 105.1. Robert Dimitt, race horse trainer sentenced in Sequoyah County District Court for cruelty to animals, has been set free. Doping suspensions had left the trainer without a license in Oklahoma and New Mexico, but he continued training under the names of his assistant trainers, Ty Blackwell and Tana Pace. At a judicial review hearing Thursday in Sequoyah County District Court, District Judge Jeff Payton granted the defendant’s motion for an early release. Judge Payton noted that he has received more than 50 emails opposed to the change of sentence. 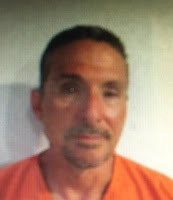 Dimitt’s attorney, Donn Baker of Tahlequah, argued that Dimitt had good behavior while in the county jail, and that an Arkansas masonry business has offered Dimitt a job, with a $15 an hour salary, and temporary living accommodations. Assistant District Attorney Stacey Slaughter’s request that Dimitt wear an electronic ankle monitor was denied by Judge Payton. Dimitt will be required to have no contact with horses during his 15-year probation. 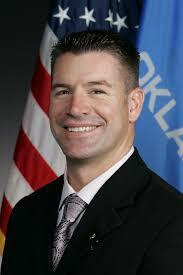 And he remains the responsibility of the Oklahoma Department of Corrections. The Church of the Nazarene, at 1000 N. Wheeler in Sallisaw, is for sale along with the church parsonage. Margaret Slaughter wife of the church pastor Jim Slaughter, said the Sallisaw church membership has decided to merge with the Muldrow First Church of the Nazarene where Carl Fugett is pastor. 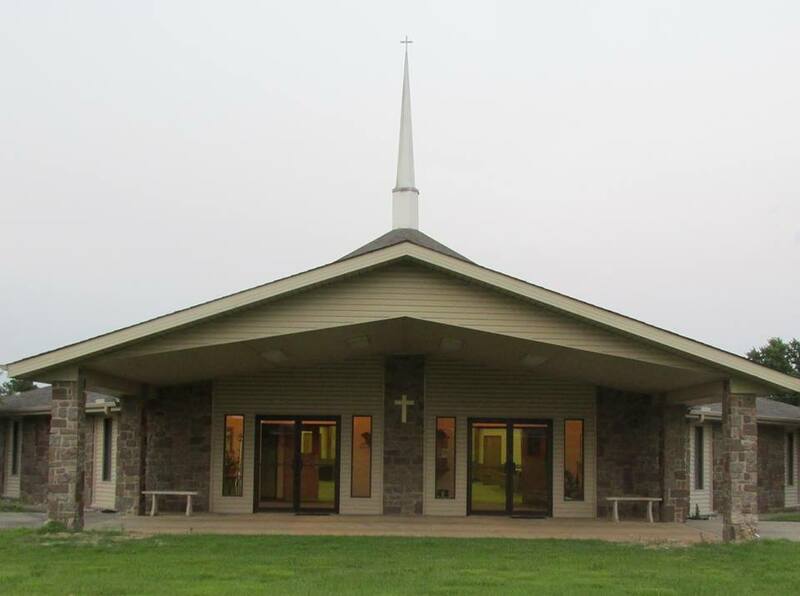 The Sallisaw church membership, she said, has decreased over the past 10 years. “There are not enough people to support the building, pay the pastor, or pay the taxes,” Slaughter said. The church has 11,000 square feet and seats 200. It has two choir rooms with a baptistry, a sound booth with sound system with front and back projectors and screens. The building also has a children’s wing with 10 classrooms and nursery with bathroom, and boys and girls bathrooms. 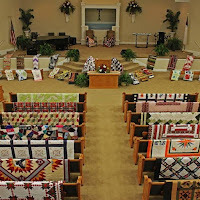 The church has one office, four adult classrooms, two offices with a bathroom, fellowship hall with kitchen and men and women’s bathrooms, one supply room, one outdoor building, and a covered front entrance, all on several acres. The parsonage, at 922 E. Hazel in Sallisaw, has three bedrooms, two and a half baths, a two-car garage, fenced yard, covered patio, and one outdoor building. Prices for the properties are negotiable Slaughter said. She said the church building would be perfect for private schools, churches, a nursing home, etc. The membership is also planning a yard sale on Aug. 5. The sale will start at 9 a.m. and will feature children’s clothing, tables and chairs, kitchen items, desks, flower arrangements, a drum set and lots of miscellaneous. 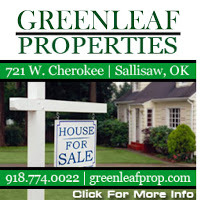 For more information or for tours of the property contact Slaughter at 918-571-3945. Slaughter said if the property is not sold within a month, it will be transferred to the Oklahoma District of the Church of the Nazarene. Next month Cherokee Nation Tribal Councilor Bryan Warner of Sallisaw will begin serving a two-year term on a national advisory committee that will give input on tribal health issues to the Centers for Disease Control and Prevention and its sister entity, the Agency for Toxic Substances and Disease Registry (ATSDR). 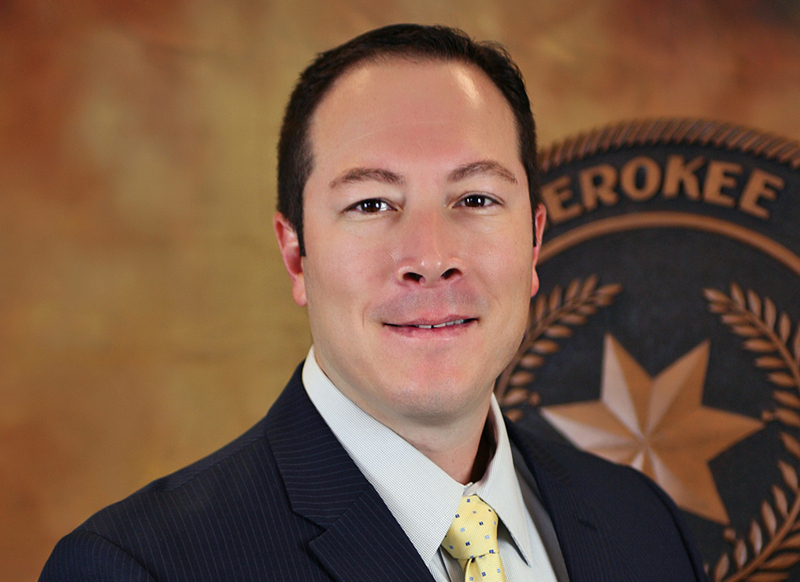 Warner, who serves as Cherokee Nation Tribal Councilor for District 6, will serve as a Tribes-at-Large delegate on the Tribal Advisory Committee, with the authority to act on behalf of the Cherokee Nation while representing Indian Country as a whole. The committee addresses everything from environmental toxins to emergency preparedness, diseases and mental health. 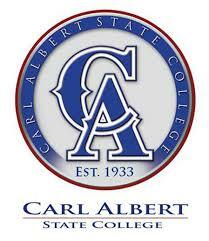 Warner is a professor at Carl Albert State College in Sallisaw and Poteau. In 2005, the CDC and ATSDR established the Tribal Advisory Committee to advise the two federal agencies through input and guidance on policies, guidelines and programmatic issues that affect the health of Indian tribes. The CDC has been dedicated to protecting health and promoting quality of life through the prevention and control of disease, injury and disability for more than 60 years. ATSDR serves the public by using the best science, taking responsive public health actions and providing trusted health information to prevent harmful exposures and diseases related to toxic substances. The committee is composed of 16 delegates, including one from a federally-recognized tribe within each of the 12 Indian Health Service areas and one from four federally recognized tribes-at-large. Delegates typically meet for two face-to-face meetings each year and also hold monthly conference calls. For more information, go to the website www.cdc.gov/tribal. 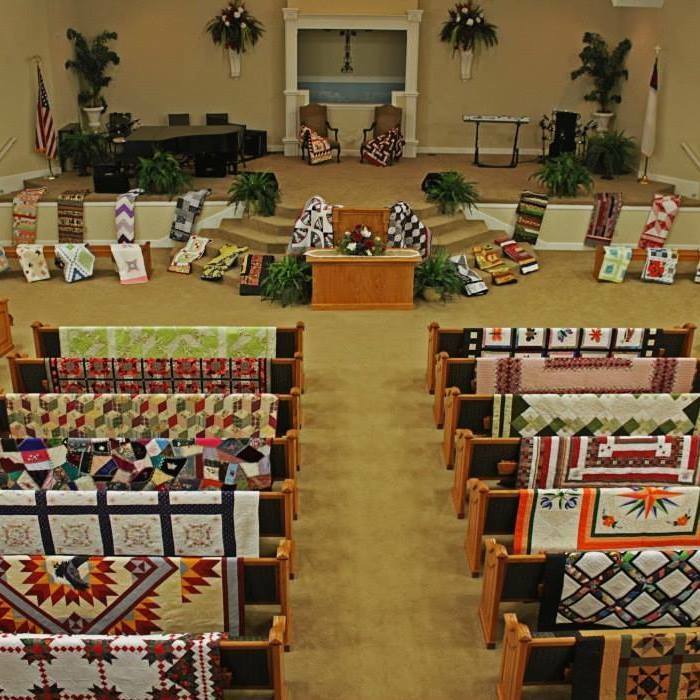 The annual Quilts of Past & Present Quilt Show will be held from 9 a.m. to 5 p.m. on Friday and 9 a.m. to 4 p.m. on Saturday at the Blackgum Harvestime Church. The Sewing Sisters sponsor the show. Admission is $4. This ninth annual show will feature judged and non-judged quilts, a vendor mall, boutique, demonstrations, and a tea room. Items to be given away include a sewing basket filled with sewing and quilting supplies valued at over $250, a sewing machine tote, and a chair-side ironing table. For more information call 918-457-9362 or 918-773-8767. Pop Up Prairie Day will be held from 9 a.m. to 4 p.m. Sept. 9 on the library lawn in downtown Sallisaw, and is free to all vendors. 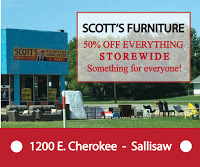 The Sallisaw Chamber of Commerce is sponsoring the event. Judy Martens, the chamber executive director, said this downtown event is the outcome of a workshop held earlier this year. Deb Brown of SaveYour.Town encouraged chamber members to try different projects to bring life to a small town and to get people enthused about their small town. “We’re pleased that Main Street is already trying some of her suggestions,” Martens said about the Main Street organization’s Thursday Night Locals in downtown Sallisaw. Martens said Pop Up Prairie Day will have three areas for pop up stores. There will be areas for foods, for flea market tents and a retail section that will include new arts and crafts. Individual spaces will be about 10 feet, or about the size of a pop-up tent. Musicians are also invited, and it is hoped will provide entertainment while performing under the gazebo on the library lawn. Martens said the chamber will coordinate efforts with the Sallisaw Farmers Market, held every Saturday and Wednesday morning in downtown Sallisaw. Application forms for Pop Up Prairie Day will be available on the chamber’s website by the end of the week. Martens said those interested should stay in touch with the chamber’s Facebook page to download an application form. Forms will also be mailed upon request. 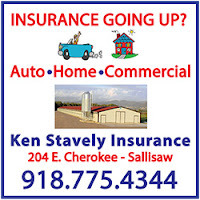 For more information contact the chamber at 918-775-2558. Dwight Mission Camp and Conference Center continues with its $2 million building project, said Dr. Robert J. Duncan Jr. this week. Duncan is the mission’s executive director. He said the project is to renovate the mission’s 1917 school house into a Heritage and Administration Center. 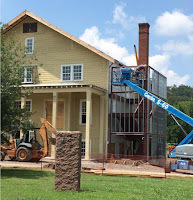 The first phase is the renovation of the 100-year-old school house. It will eventually include a Heritage Center and administration offices. The building has three floors. Plans are to remodel the first (or basement) floor for conference rooms. The second floor will be for meeting rooms, offices and for the heritage display, and the 200-seat auditorium on the third floor will be renovated. Duncan said the 200-seat auditorium has 100 chairs on one side for the boys, and one chairs on the other side for girls. He said the boys’ seats all had places underneath for the boys to stow their hats. The plans are for all those auditorium seats to be restored with hat racks during phase two. At the present time, two outdoor stair towers are being added at the front and back of the building. Duncan said the towers are regular steel fire towers which bring the building up to the state fire marshal’s code. Also underway or complete is a new roof and siding and elevators. Duncan said the area in front of the building is being graded so that visitors will not have to climb steps to the Heritage Center. He expects the remodeling to be complete in September. Then the mission will begin the campaign to raise money for the interior remodeling. Duncan said that is expected to cost $1 million to $1.5 million. The exterior remodeling is projected to cost $1 million plus. Crawford Construction of Fort Smith is the contractor on the project. It’s all about helping others. That’s why the members of the Cpl. 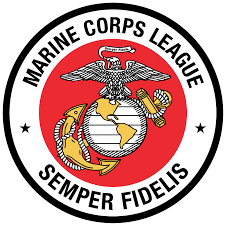 Joshua J. Ware Detachment #1403 of the Marine Corps League in Sequoyah County are working hard to rebuild their organization. The detachment took a hit last year when the commander was charged with embezzlement, and eventually removed from office. That allegation has been turned over to the justice system, and the detachment is rebuilding, said present commander, Bill Brocker. On the agenda are a toy drive for Christmas (not titled Toys for Tots), assisting the families of veterans and the military, the search for a building, buying uniforms and rifles for honor detachments, a barbecue pit, water tent, and food trailer. Brocker said all funds donated to the detachment stay mainly in Sequoyah County. A few from Muskogee County will help families there. “We will be putting out the boxes or barrels shortly after Halloween this year,” Brocker said. Brocker said he has been visiting with those who have supported the detachment and its programs in the past. “We’re trying to be more visible. I’ve been visiting with individuals, businesses and industries that have supported us. We’re trying to rebuild our detachment and our reputation,” Brocker said. The detachment had booths this spring at both Old Settlers Days in Muldrow and Diamond Days in Sallisaw. “We had a pretty good response from everybody,” he said. “We had a really positive reaction in Muldrow. He explained detachment members see the need for assistance in the depressed area. “We want and need to step up,” he said. Brocker said detachment members are fundraising for a building for the organization, but haven’t forgotten the immediate needs of veterans and the military. He explained detachment members provide rides to VA Hospitals for veterans, have helped veterans pay their utility bills, and recently helped an Air Force family whose vehicle broke down near Muskogee. Detachment members want the organization to be open to the public. For information on the detachment contact Brocker at 918-235-4590 or Charles Cloud Sr., vice commandant, at 918-774-4497. My next few columns will focus on the 10 state agencies that receive the largest amount of taxpayer money. Human Services is No. 4 on that list behind K-12 education, the Oklahoma Health Care Authority and higher education. I’m going to talk about them first, however, because of the current dustup in the news over the Department of Human Services (DHS) funding and programs that are being cut. First of all, DHS let it be known earlier this year – through the media – that they were planning to cut programs that help disabled adults and seniors on Medicaid stay in their homes with home health services instead of being moved to nursing homes. The Legislature gave the agency supplemental funding of $34 million in early April to save these programs. In the final budget, DHS was appropriated almost $700 million. This included $7.7 million so the agency can secure federal matching funds and $11.3 million for the Pinnacle Plan, which is helping ensure the state’s Foster Care system is meeting civil rights standards for the children in its care. Without counting the supplemental appropriation, the agency received almost $20 million more dollars this year than last year. Many other state agencies, including higher education, took an average cut of 4.2 percent. Yet, even with this increased funding, DHS has decided it still has to cut programs, like the one mentioned above, as well as childcare assistance, senior meal assistance and some foster care and adoptive services. I want to make sure it is understood that DHS decided to cut these programs, not the Legislature. This is a load of bull. The agency could afford these programs last year with less money. But, now suddenly they can’t pay for them? That makes me question what they’re doing over there. An agency spokeswoman said the department has had to cut 1,200 positions in the last two years. They can still function, she said, but just barely. Does that mean they could have functioned without these positions all along? Probably. I also have to believe that DHS has other areas it could cut before it takes funding from vulnerable adults and children. The Legislature does not line item funding for state agencies. We trust they can make decisions to care for the neediest citizens and forego things that do not need to be handled by the government or at the very least can wait until the state is completely out of a recession. I coauthored a bill with the speaker of the House that will require agency budgets to be audited, however, before future funding is granted. DHS should be among the first agencies audited when this bill takes effect. Government should not be the fix-all solution to every problem. It can’t employee everybody and run every program ever dreamed up. What it should do, though, is take care of the most vulnerable. WEBBERS FALLS – 360 FARMS is an enterprise focused on growing elderberries as well as other produce and creating a high quality, healthy product that people love. At 360 FARMS, they pride themselves on their research about elderberries. Elderberries are anti-viral and anti-inflammatory which allows them to be used in various forms to aid in healing. 360 FARMS raises, harvests, dries, and produces products with the elderberries. They also raise other produce like fennel which is used in the final products. 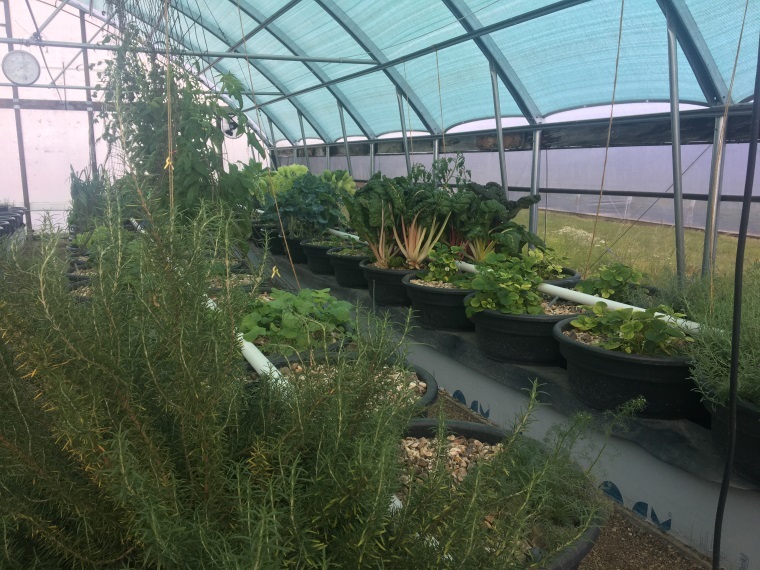 360 FARMS is unique in that it uses an aquaponics system to grow their produce. This system constantly cycles water through the rock beds where the plants are planted. They have koi fish that live below the beds in the tanks and provide the nutrients. 360 FARMS is an advocate for using Oklahoma products and supporting local business. 360 FARMS produces the finest elderberries and superior products. 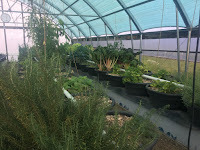 They allow tours and teach about elderberries, the health advantages of them and the aquaponics system. They can be found in Webbers Falls and can be contacted online at 360okfarms.com. They can also be found on the Made in Oklahoma website www.madeinoklahoma.net. Editor’s Note: This is one of several stories about Oklahoma businesses by the Made in Oklahoma Program. 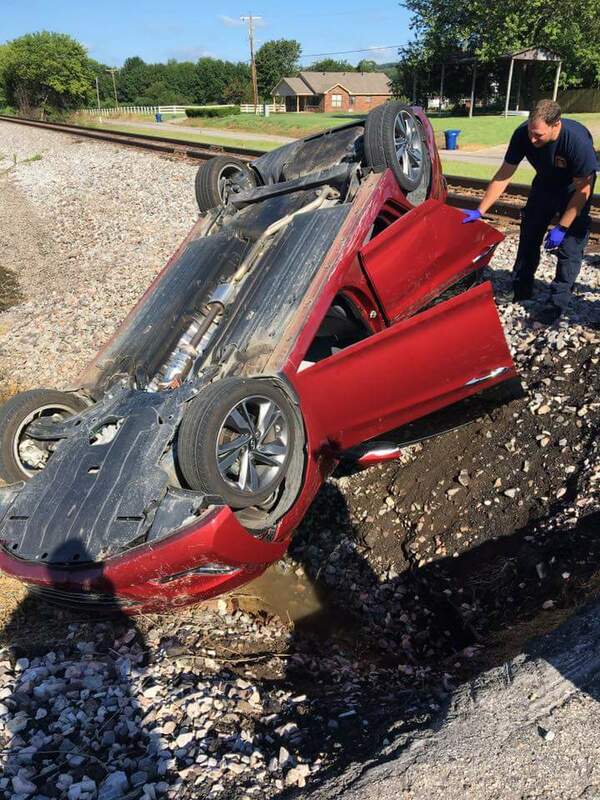 Muldrow Police Chief George Lawson, Assistant Chief Tim Keith and Muldrow EMTs are credited with rescuing a female driver from an upside-down vehicle on Monday morning in Muldrow. An unidentified woman was reported to have rolled her vehicle at the Fargo Street crossing on the Union Pacific Railroad, just moments before a train passed by. Lawson said that the crossing is wide, but the street isn’t. The right front wheel of the tire ran off the road and caused the Hyundai Elantra to flip upside down. Lawson, Keith and the EMTs arrived in the nick of time but were unable to get the upside-down woman out of her vehicle before a train came whistling by. Lawson said two EMTs were then able to get into the car and help release the woman from her seatbelt, with the help of Lawson and Keith. Dispatchers were able to contact the railroad and have all rail traffic stopped until the rescue was complete. The woman was uninjured, Lawson reported. Lawson said Keith gave the woman a ride home. 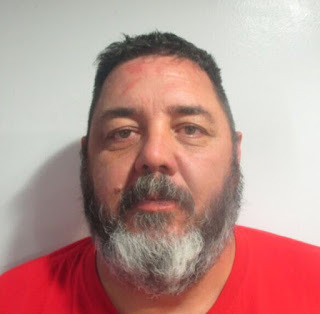 The hearing for Alan Wayne Beaird, 49, formerly of Sallisaw and former commandant for the local Marine Corps League, was continued to Sept. 7 in Sequoyah County District Court, Sallisaw. The court notes the continuance was agreed upon by both sides because the state was making a written offer, perhaps a plea agreement, to the defendant. Now listed as a resident of Rogers, Ark., Beaird is free on a $5,000 bond. He pleaded not guilty to the charge on Oct. 5. 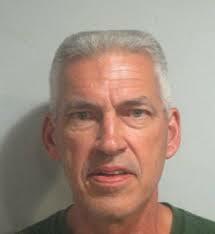 According to the affidavit filed with the charge Beaird became a suspect when the current Marine Corps League commandant, William Brocker, reported money was missing and he “believed Beaird to be the responsible party.” The affidavit notes that Beaird was removed from the commandant position early in 2016. The Sallisaw Police Department investigated the allegations. 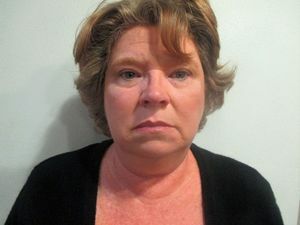 A 53-year-old Muldrow woman, a former teacher at Muldrow High School, will go to trial Aug. 7 for enabling child abuse by injury, according to Sequoyah County District Court records. Julie Boshers was charged Oct. 6, and entered a not-guilty plea to the charge on Oct. 12. She is free on a $2,500 bond. The accusation against Boshers was investigated by the Muldrow School police and Muldrow Police Department. According to the report and charges filed Oct. 6, Boshers was on duty as a safety monitor at the school during the lunch break, when her son, identified as B.B. in court records, told his mother, Boshers, that he was going to beat up another student, identified in court records as G.B. B.B. and Boshers, according to the Muldrow police officer’s report, then went to the gazebo where G.B. was standing and a fight began that lasted about two minutes. The report alleges Julie Boshers did nothing to stop the fight, and can be seen in a video standing, with her arms at her side, observing but making no attempt verbally or physically to prevent or stop the fight. Witnesses said another student stepped in and stopped the fight. Boshers entered a not guilty plea to the charge on Jan. 12. District Judge Jeff Payton set the trial date at a hearing last week in district court.